A podcast about Bitcoin from a Crypto-Austrian perspective. Join Stephan as he interviews the sharpest economic and technical minds in Bitcoin to understand how money is changing and evolving. Plan B (@100trillionUSD), operator of a well known pseudonymous twitter account joins me for discussion on modelling the incredible value of Bitcoin. Don’t miss this discussion on data modelling, finance and investing in Bitcoin! Tuur Demeester, Bitcoin/Macro Investor and Writer, and Founding Partner of Adamant Capital joins us in a very important macro-economic and investment discussion on how to assess Bitcoin’s value through its past and into the future. Chris Belcher, Bitcoin Privacy OG (JoinMarket, Electrum Personal Server) joins me in this must listen episode on Bitcoin Privacy fundamentals. Chris talks about multiple ways you can be deanonymised, as well as countermeasures available. We then talk more broadly about Bitcoin Privacy techniques. Andreas M. Antonopoulos (best-selling author, speaker and bitcoin educator) joins me in this episode to talk about his views on Bitcoin Maximalism as contrasted with a multicoin view. Andreas and I disagree and present clashing visions. We also discuss other points such as whether Bitcoin challenges central banking more specifically, or banking generally. Which kind of monetary intervention is worst? Marty Bent, host of the Tales From the Crypt podcast, and editor in chief of Marty's Bent joins me in this episode. We talk about Bitcoin content creation and curation, and also touch on the shifts in thinking from 'mainstream' economics required to understand Bitcoin. Nicolas Dorier, a Bitcoin developer, joins me in this episode to talk about the open source project he started, BTCPayServer. BTCPayServer allows you to start accepting Bitcoin payments with 0% fees & no third-party. It is built with security, privacy and censorship-resistance at its core. Thoughts on altcoins - are some of them honest, good faith efforts? Might they be technologically interesting, but still not monetarily relevant? Bitcoin financialisation - Does Bitcoin need financialisation or does finance need Bitcoin? - "Crypto Hedge Fund Managers"
Dan Held (Co-Founder Picks & Shovels) has been writing influential articles and joins me in this episode to share his perspectives on being in Bitcoin for 6 years. We discuss what the real narrative was around Bitcoin in the early days, and how some Bitcoin Heroes turn and become Bitcoin Villains. We also discuss how to survive in Bitcoin, as well as broader investment discussion on what 'capitulation' looks like in a Bitcoin bear market. Kara Haas, CPA joins me to discuss Bitcoin auditing and accounting. Especially in relation to Tether, there are many people confused about what an audit is, versus an attestation. And with the Bitmain IPO, some confusion on the correct accounting treatment for Bitcoin. As an accountant and auditor in the field, Kara is able to shed some light on this. Rigel Walshe (aka CoinsureNZ) joins me to talk about his recent viral adventures in sending Bitcoin transactions without internet on the device itself. His recent stories lit up social media and showed real world usage of TxTenna, a collaboration between GoTenna (mesh networking) and Samourai Wallet (Bitcoin wallet project focused on privacy). Patri Friedman, MD of Zarko Investment Group and a leader in the seasteading movement joins me to talk about how Bitcoin & Crypto will enable greatly freer markets around the world. We talk about Bitcoin maximalism, Crypto parallels with the dotcom bubble, jurisdictional competition, seasteading and start up cities, law as technology, and more. We also discuss David Friedman's thoughts on Bitcoin & Crypto, and what Patri's late grandfather, Milton Friedman, would have thought on Bitcoin. Zac Prince, Founder and CEO of BlockFi joins me in this episode to talk about the incredible benefits of Bitcoin as collateral for USD loans. We talk about the 'double whammy' of how it can be used to minimise capital gains taxes, and get an interest deduction on the use of funds. Bitcoin also makes it easier to provide global debt financing in countries where it has traditionally been difficult to operate USD lending. One of the pseudonymous founders of Samourai Wallet joins me in this exciting episode to talk about Bitcoin privacy techniques that are applied within the wallet and upcoming improvements to their Bitcoin wallet app. Anyone interested to learn more about how Samourai Wallet helps protect privacy will truly enjoy this episode. Francis Pouliot and Etienne Larrivee (CEO Satoshi Portal and Lead Developer Cyphernode), join me to talk about their newly released open source Bitcoin self-hosted API allowing you to more easily build Bitcoin services and applications. This enables businesses and users to reduce their reliance on commercial Bitcoin APIs, while still offering advanced features and utilities. Steve Barbour (Founder, Upstream Data) joins me to discuss how he is turning stranded natural gas into Bitcoin mining hashes. His HashGen product uses low value natural gas to improve the economics for Canadian Oil and Gas facilities, while powering Bitcoin mining ASICs. In this discussion we also talk about the 'bitcoin energy use is wasted' narrative, and how bitcoin mining was centralised in the past, but is now decentralising. Jeremy Welch (Founder of Casa) joins me in this episode to talk about crafting a business around the concept of safely storing bitcoin. We talk about the ethos of Casa, designing services for a sovereign individual, securing top tier talent, and Casa products. Sergej Kotliar, CEO of Bitrefill joins me to discuss taking bitcoin and lightning payments as an online merchant. We talked about the challenges and benefits of doing this, particularly in how lightning network simplifies the user experience and reduces errors. In the second part of the episode, we talk about 'earner adoption' - the idea that bitcoin's ecosystem can grow from people earning it. Rusty Russell, a well known and respected Bitcoin Lightning developer at Blockstream joins me in this episode. We talk about his article, The Three Economic Eras of Bitcoin, and discuss the Lightning Network for Bitcoin. Lastly, Rusty draws from his prior experience as a Linux kernel developer to contrast Linux development with Bitcoin and Lightning development practices and culture. Udi Wertheimer (Bitcoin software developer) joins me to discuss the use of unnecessary crypto-tokens, why some people do it, the use of non-crypto tokens in gaming, unnecessary blockchains, #reckless lightning development, and what he is looking forward to in Bitcoin and Lightning. Jimmy Song (Bitcoin Educator, Developer, and Entrepreneur) joins me in this episode to discuss his recent debate with Roger Ver, and in the second half we also discuss Blockchain skepticism. We separate the signal from the noise on 'enterprise blockchain' technology by discussing the true costs and difficulties involved, and then discuss some alternatives to 'enterprise blockchain'. Vortex (Jeffrey), a software developer and well known bitcoin YouTuber joins me in this episode to talk about the Bitcoin ecosystem. This interview is targeted for newbies to bitcoin, to help them understand the key components of the Bitcoin ecosystem. We also discuss: the Cryptocast network, the role of nodes in Bitcoin, Bitcoin development, his course Programming with Bitcoin, Fintech vs FinUI, and his outlook for the future. Daniel Alexiuc (CEO of Living Room of Satoshi) joins me in this episode to discuss how he is pioneering Bitcoin and Lightning Network payments in Australia, both on his website LROS, and also as a partner with Travel By Bit. We discuss: his viral video using LN to buy a coffee in Brisbane airport (May 2018), why blockchains aren't a good payment system, use of both C-Lightning by Blockstream and Lnd by Lightning Labs, crypto payment volumes increasing, use of BTCpay, and outlook for the future. Vijay Boyapati (Software engineer, Austrian economist) and I discuss the coming Bitmain IPO, the economic errors behind BCash, rumours of Facebook entering Crypto, reframing scarcity, hard money in earlier times, and how Bitcoin might fare in a broader market crash. Akin (Beautyon_) and I discuss what led him to Bitcoin, his Bitcoin business Azteco, stances on Bitcoin and regulation, the importance of keeping Bitcoin simple, Open source software versus closed source software, and Samurai Bitcoin wallet. In this episode, we talk through emerging market currency crises, and his new 5 part article series on Bitcoin as Ultimate Asset. We contrast differing monetary views, why it doesn't make sense to spend bitcoin right now, Medium of Exchange vs Method of Payment, and fallacies of 'Medium of Exchange only' cryptocurrencies. Hass McCook and I discuss the Bitcoin mining market and his recent research, "The Cost and Sustainability of Bitcoin". We cover key bitcoin mining metrics, bitcoin mining cost price ranges, the Bitcoin Price - Mining Hash Rate relationship, the evolution of bitcoin mining over the past 3 years, and compare Bitcoin mining costs vs Gold mining. Nic Carter and Hasu join me to discuss the multitude of changing visions of Bitcoin, and also a Transaction Batching analysis they performed. We discuss how the narratives and attitudes in Bitcoin have changed over time as different constraints surfaced. In the second half, we discuss bitcoin transaction batching, and more appropriate ways to think about the number of bitcoin transactions. Bryan Vu, VP of Product at Lightning Labs joins me in this episode to sketch out a vision of what Lightning Network may evolve into. We discuss Lightning User Experience and Routing, and the benefits to users, merchants and exchanges. Murad and I explore a range of economic thought about Bitcoin and cryptocurrencies in a fascinating interview discussing the path to Bitcoin as 'monetary winner'. As a prolific writer and analyst in Bitcoin, Murad is very well read and articulate. We discuss: His articles, how Bitcoin is ushering in an era of unprecedented peace and prosperity, a framework for monetary Store of Value criteria, and more. In this episode with Nik Bhatia, we talk about the potential for forming capital markets on top of Bitcoin and the Lightning Network, by calculating an interest rate (LNRR - Lightning Network Reference Rate) based on the routing fees earned in staking BTC to Lightning Network payment channels. 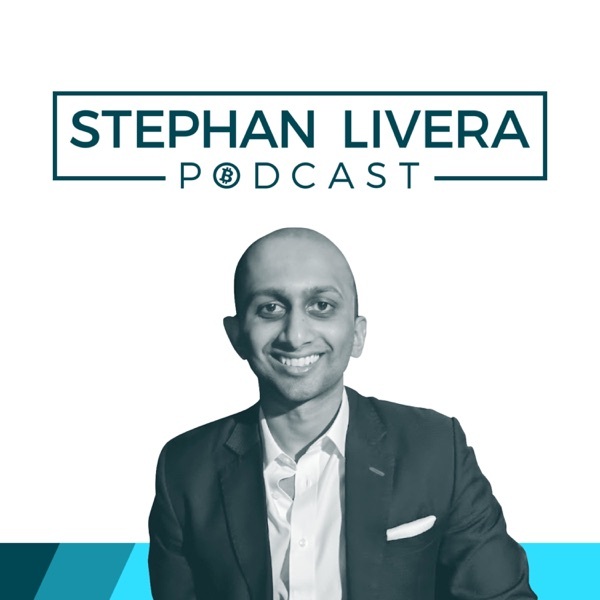 Stephan interviews Saifedean Ammous, Austrian Economics Professor and author of The Bitcoin Standard. In this podcast episode we take a deep dive into the case for Bitcoin as sound money, and what is potentially the hardest money the world has ever seen.